From a cozy indoor dinner to a beautiful outdoor banquet, Cypress Bend wedding venues create the ideal atmosphere for your big event. And, we can accommodate up to 200 guests for formal dining and up to 250 for receptions, so you don’t have to leave any loved ones off your guest list. 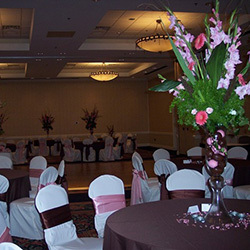 This 3,500-sq.-ft. ballroom offers a classic setting for a formal sit-down dinner. Accommodates 250. 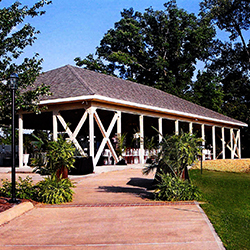 This airy outdoor venue offers pristine views of Toledo Bend Lake. Accommodates 200. 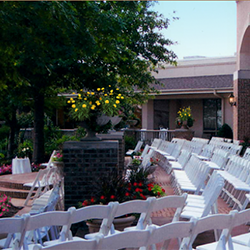 Our most popular venue is this 3,400-sq.ft. covered, open-air pavilion overlooking the rolling hills and lake. Accommodates 250.